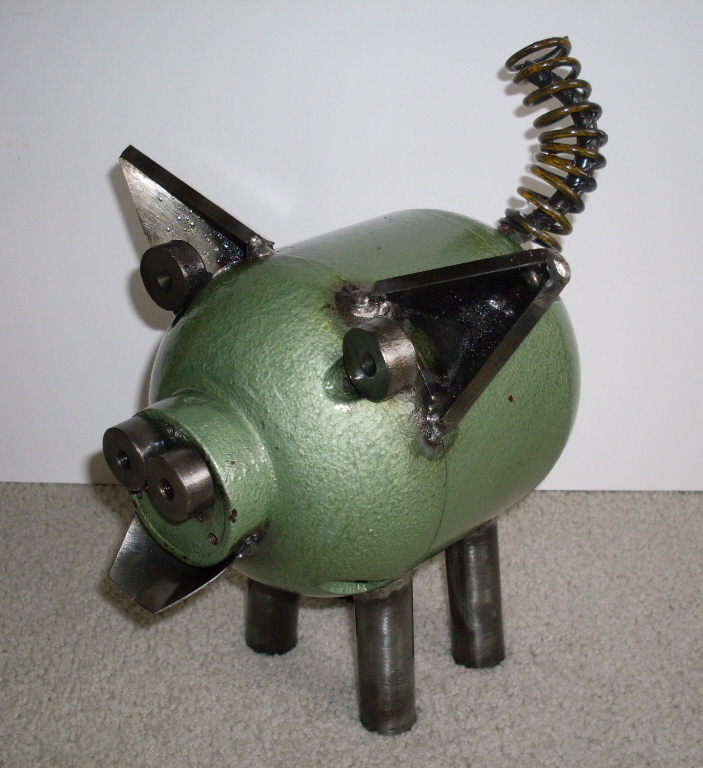 We now have a YouTube Channel "Happy Scraps Metal Art". 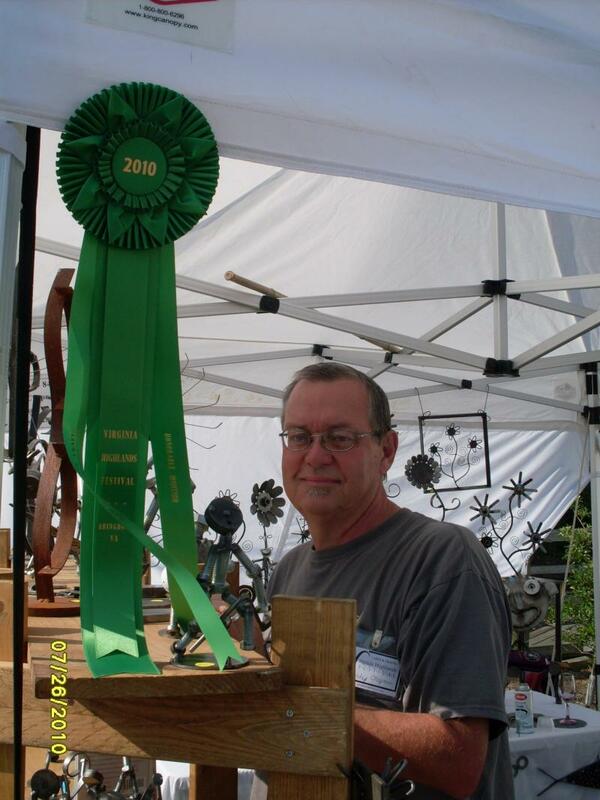 It will tell you how we got started and videos on various aspects of the metal art being made. Be sure to subscribe to our channel for future updates and give us a thumbs up. 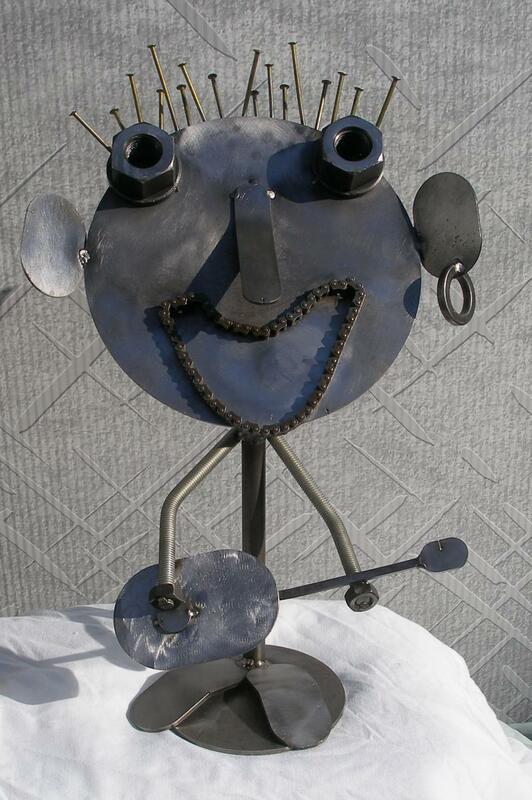 Happy Scraps creates metal art creatures, flowers, and figures that depict anything your imagination fancies. Each piece captures your attention from the sincere to the whimsical. Rarely are there two exactly the same because of being uniquely crafted. These creations are constructed from metal spikes, rods, slugs and other pieces of steel. 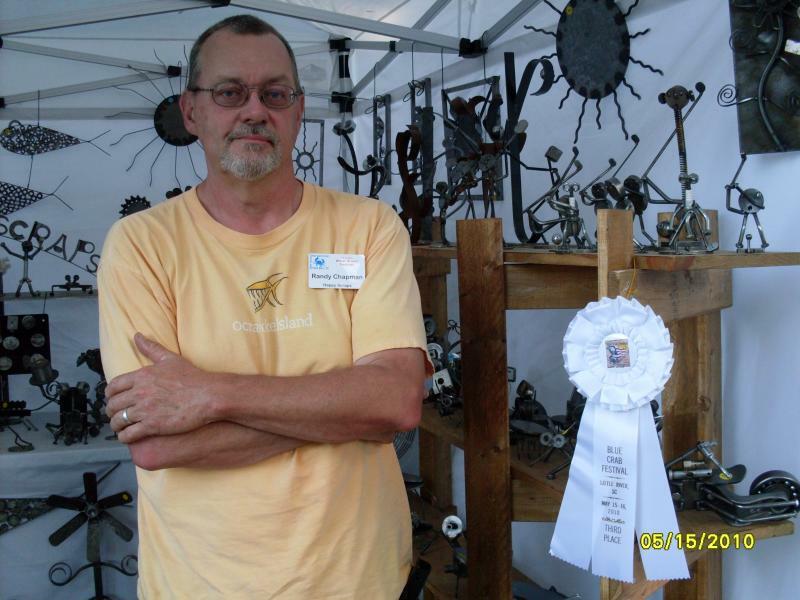 As you look at Randy and James Chapman's metal art work you feel as if the creations come to life. 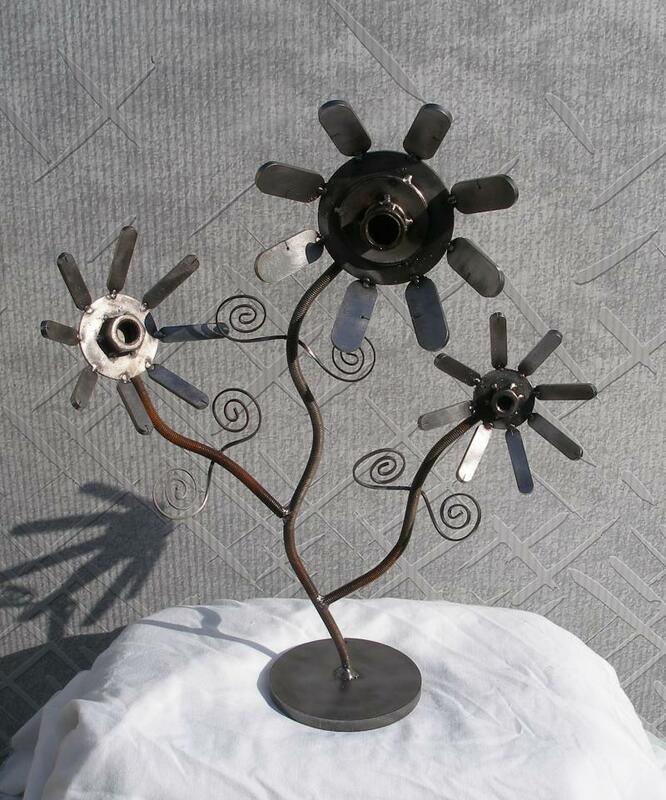 These metal art creations are perfect for yard art, family, professional offices or just art lovers. These are conversation pieces for a lifetime and a great gift for anyone. If you would like to purchase one of our items, please contact us for an appointment to view over 100 different items. You can also check our schedule to see when we will be in your area for a show. We have a booth in The Shoppes on Main, 212 S. Main, Fuquay-Varina, NC. Be sure to stop in to visit these unique shops if you are in the area. Be sure to call us or email us today if you are interested in purchasing that special gift. You can make an appointment to come see all our items by contacting us.